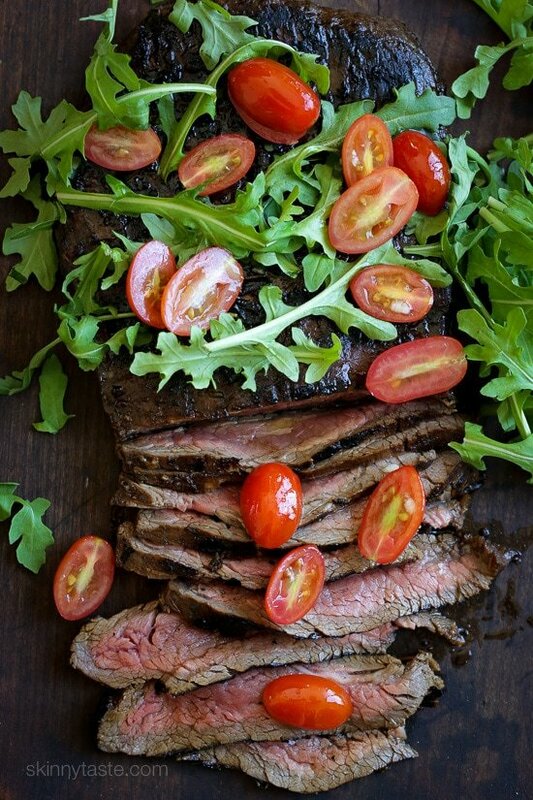 This grilled balsamic flank steak with tomatoes and arugula salad is an easy weeknight dinner solution –marinate the steak overnight with balsamic vinegar and fresh herbs, then fire up the grill and serve with a simple tossed arugula-tomato salad, on the table in less than 20 minutes! 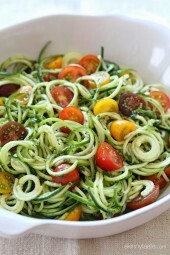 This recipe was adapted from the Malibu Farm Cookbook, a beautiful book that totally gave me farm envy! After reading this book I wanted to pick up, move to Malibu, get some chickens, goats and honey bees and grow all my own food. But since that’s not a reality (and I’m sure it’s a lot more work than I can even imagine) thumbing through this beautiful book gave me a small taste of life on the Malibu Farm. The original recipe in the book was made with skirt steaks, but to lighten it up I used leaner flank steaks instead which are perfect for cooking on the grill. This Grilled Balsamic Steak with Tomatoes and Arugula is an easy weeknight dinner solution –marinate the steak overnight with balsamic vinegar and fresh herbs, then fire up the grill and serve with a simple tossed arugula-tomato salad, on the table in less than 20 minutes! Combine the marinade ingredients in a bowl or blender and pour over the steak. Marinate overnight. Combine the cherry tomatoes with salt. Stir in the vinegar, garlic and olive oil. Heat the grill over high heat, spray the grates and grill a few minutes on each side, until cooked to your taste. Let it rest a few minutes before slicing. Toss the arugula with the tomato mixture. 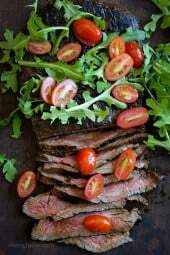 Slice the grilled skirt steak into thin slices and place on a platter, scatter the arugula-tomato salad over the steak and serve right away. Nutrition facts take into account most of the marinade gets tossed. Adapted from the Malibu Farm Cookbook. Any suggestions on a side with this? I live in an apartment. No grilling allowed. Can you give me specific directions for an alternative cooking method? Any chance this would be a good marinade for a tritip? I cook it in the oven. I haven’t tried it,let me know if you do! I’m confused on how many smart points this is. 5 per serving? ” Smart Points: 5 Points +: 6″ what is the + 6 ? Points Plus for people following the older plan. I made this two nites ago and we loved it! So easy, delicious, and light! I only added a tich more oo since my husband is not as crazy about vinegar as I am. Love your recipes! This was delicious! We didn’t marinate it over night but maybe about 4 hours or so. It still came out great! We served it with arugula, heirloom tomatoes and blue cheese. The hubs wants this on our regular dinner rotation. We got a big enough steak so that we could make sandwiches with the leftovers. 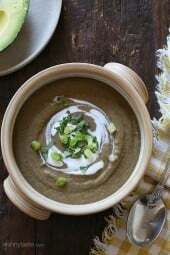 My husband and I really liked this recipe. It was easy, pretty on the plate and delicious. We think flank steak has a wonderful flavor. Thanks. I could not find flank steak today and got skirt steak. 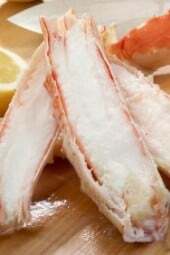 What is the calirie difference in the recipe? Thanks! Your recipes are always a huge hit in my house! I would love to try this but I can never find flank steak in my grocery store but can always find London Broil. Do you think that would work? Is that a similar cut? Thanks for all your amazing recipes! What is the secret to cooking a flank steak? Anytime I’ve worked w/ flank it always seems to be tough & chewy. And why not a sirloin which seems to alllllways work in place of a flank? 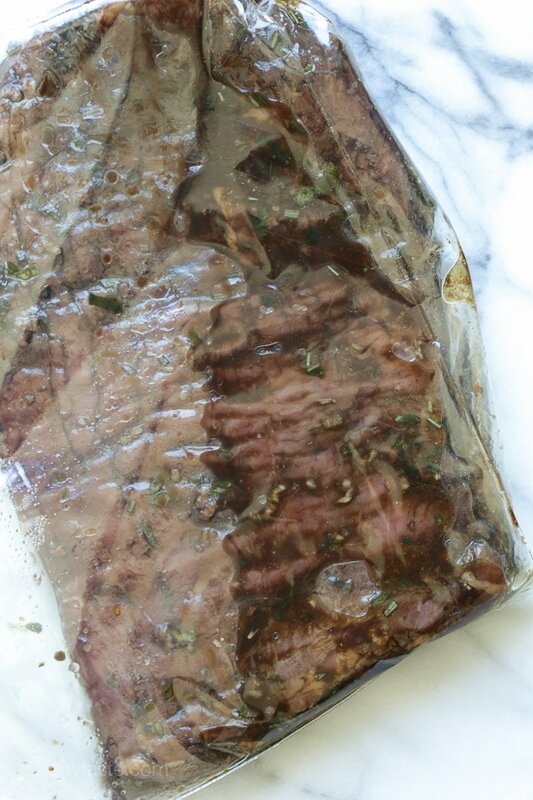 I have flank steak in freezer…any tips for tenderizing….My husband always complains flank steak is tough…and it is! It needs to marinate for sure, then always slice it thin. When I don’t have time to marinate, I like to use a little Montreal Steak Seasoning, or my own combo of spices. I’ve also used a little dry Italian dressing mix for a nice flavor! A little goes a long way with some of the dry, salty seasonings… Also, I’ve never had a tough flank steak, especially compared to sirloin steak, unless it was over cooked. One key “trick” to a tender flank/skirt steak is to slice thin against the grain of the meat. My local grocery store doesn’t stock flank or skirt, but they have the spiral packaged sirloin tips! That’s my go to for flavor, tenderness, and reasonable price. Enjoy! Wow this looks fantastic. Totally get that Malibu dream… I will eat this in my backyard and try to mimic life on the farm! 🙂 can’t wait to try it. I make this now and then and its great! Sometimes i put some garlic in the meat a few hours before baking it. Gives a great extra taste. Does the points calculation take in the salad as well, or just the steak? How long would you grill for medium rare? Every recipe of yours that I have prepared has been a big hit with my husband and me. They are deelish and fit so well into my Weight Watchers menu. Thanks! Yum thanks, I know what I’m making for dinner!